Experience the ultimate flats fishing charter with Capt. Raul Montoro. Catch Tarpon, Bonefish, Permit, Snook, and more! 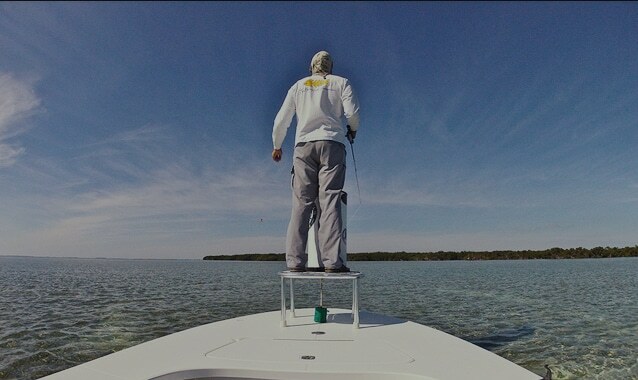 From Miami to the Florida Keys, we go where the fish are. Discover the amazing destinations we fish here in South Florida. Half-day, full-day, and specialty trips are available. We provide everything you need to experience the ultimate flats fishing charter. Miami, FL is home to some of the best flats fishing in the United States. 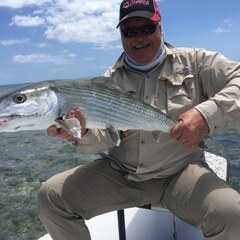 Light tackle and fly fishing enthusiasts journey to Miami, FL from all over the world to fish the stunningly clear waters of Biscayne Bay for bonefish, permit, tarpon, and shark. Gorgeous and seemingly endless flats span the horizon on the eastern side of Biscayne Bay, just a mere 3 to 5 mile run from downtown, making Miami, FL one of the premier destinations in South Florida to enjoy a perfect day of light tackle angling. Capt. Raul Montoro has been flats fishing in Miami, FL for 30 years. 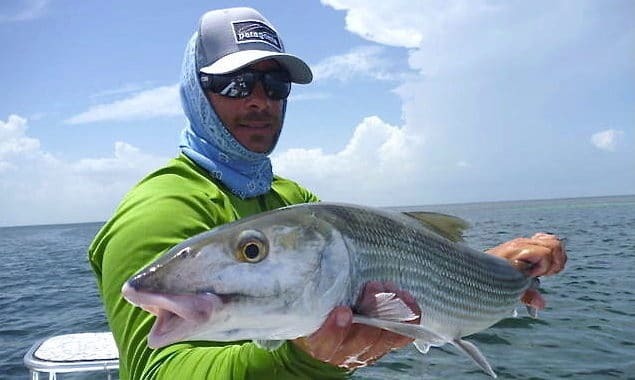 A native of South Miami, FL, there are few fishing guides in Miami who are as intimately connected with the tides and ecosystem of Biscayne Bay as Raul. 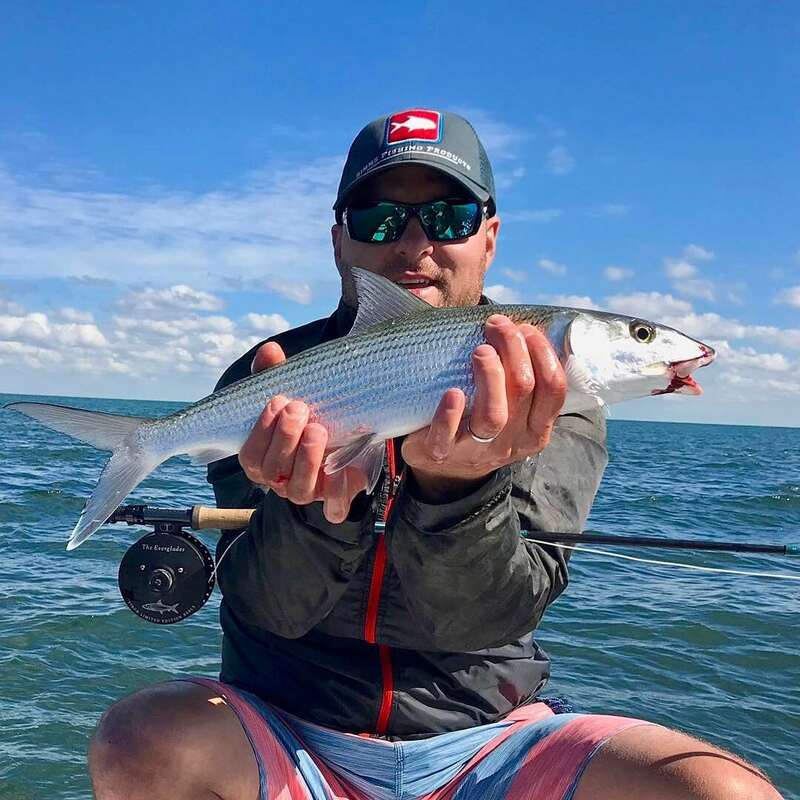 On a typical day fishing the flats of Miami, it’s common to catch a variety of species such as sharks, jacks, grouper, seatrout, and BIG barracudas, but the main attraction in these pristine waters is sight fishing for species like bonefish, permit, and tarpon. 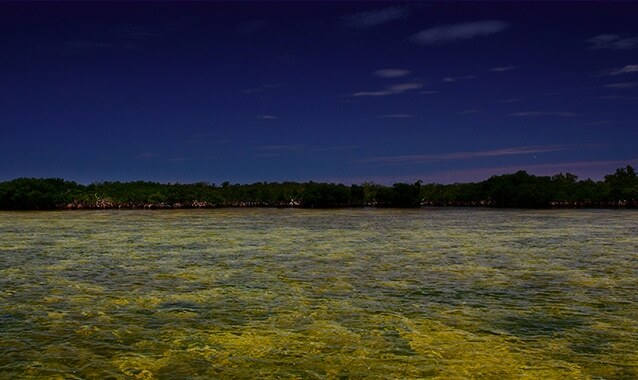 Sight fishing the flats of Miami, FL is almost a surreal experience – the contrast of the sky against the shimmering aquamarine water and crisp green seagrass is a shallow water angler’s dream come true. Flats fishing in Biscayne National Park affords anglers the opportunity to explore endless mangroves and the norther tip of the Florida Keys while targeting several of the most coveted light tackle species. You would be hard pressed to find another flats fishing destination that affords unparalleled light tackle fishing within 10 miles of a major metropolitan hub. January can be a tough time to hit the water. Being here for a while and reached out to Raul for a day fishing. Raul was great in giving me some options as well as what isn't good now. We fished a day out of Everglades and had a bang up morning. Snook, Red Fish, Sheepshead, Sea Trout, Mangrove Drum, Black Drum and catfish! He knew right where to go! Thank you for a great day. I promise you spending a day with Raul will be an experience you will never forget. He is the best guide I have ever had the pleasure going out with. When you fist enter his boat you know he knows what he is doing. Everything is clean and well organized. We fished for Bone Fish and Permit. Raul put me on a trophy Bone fish. 12.5 lb. 29 inches long. Had the fight of my life. After a shark chased it around a while we finally got it in. Raul was as excited as I was. I highly recommend Raul for your fishing guide. You will not be disappointed. I live in the South Florida area, and grew up fishing my whole life. I started fishing fresh water, and got into salt over the years. I've caught everything except Permit and Bones. This past weekend I had the pleasure to fish with Captain Raul Montoro. Having lived down here for 25 years, it was the best experience fishing with a guide I have ever had. He was extremely professional and knowledgeable. 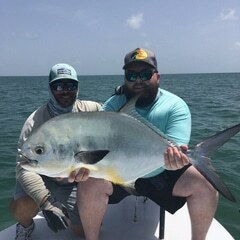 Having never caught a Permit, he coached me the entire way through which ended in myself landing a true world class fish. If you’re considering booking a Miami Flats Fishing trip, one of the key elements to consider is the time of year you will be fishing. While it may feel like summer year-round, there are several fishing seasons to consider when it comes to flats fishing. Wintertime (January – March) is prime time in Miami, FL to catch big bonefish, seatrout, and gag grouper. The cold weather keeps algae and other microorganisms from blooming – this keeps the water perfectly clear which is ideal for sight fishing. Colder weather draws migratory baitfish into the bay as well, giving predatory fish an opportunity to feed aggressively despite cooler water temperatures. Spring time is considered the pinnacle season to go flats fishing in Miami because every light tackle species arrives in full force. 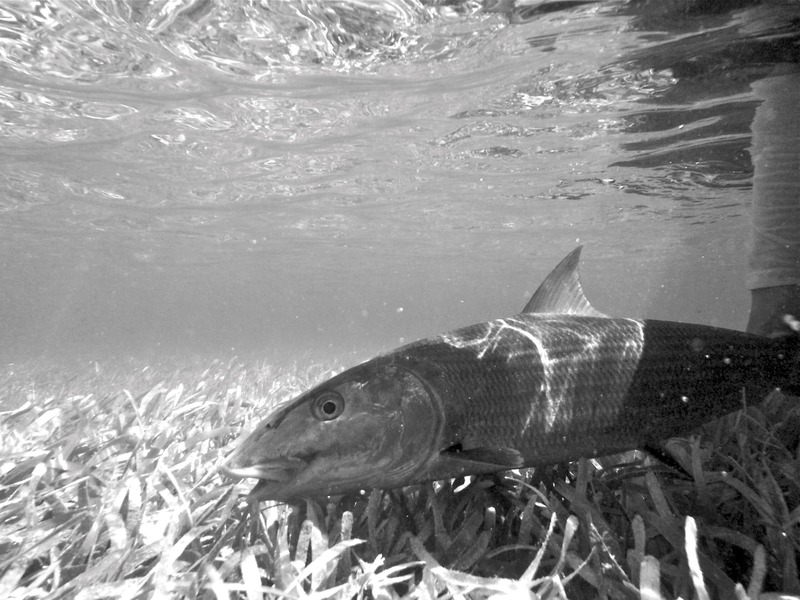 Spring time (March – May) brings large schools of bonefish and tarpon into Miami waters, which makes for some of the most exciting fishing of the year. 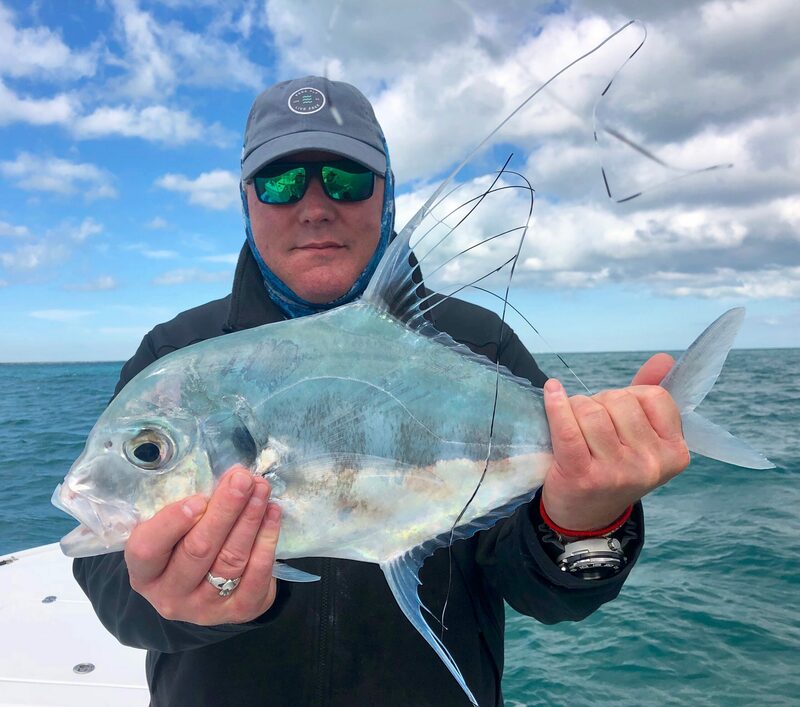 By summertime (June through August), large schools of Permit begin staging in the channels and shallow wrecks of Biscayne Bay – you would be hard pressed to find another place in the USA to sight fish for permit more effectively. 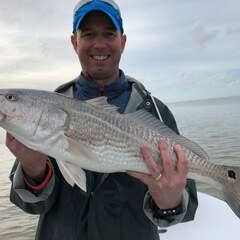 If you’re looking for a Miami flats fishing guide who will put you on the fish, be sure to give Shallow Tails Guide Service a call to learn more about availability and what’s biting. Miami's Biscayne Bay November 26, 2018 fishing report.